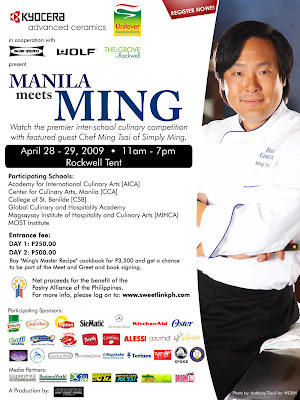 Chef Ming Tsai will be at Rockwell on the 28th and 29th of April. Various culinary schools will be having an inter-school culinary competition and they invited Chef Ming Tsai to be their special guest. Did you get to see him? Hopefully you did! This picture looks so different, I guess it's his hair! 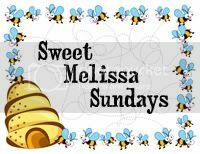 check out the manila meets ming event website : www.sweetlinkph.com. @Coconut Girl Connie: unfortunately the event was on the same day as our town fiesta. i don't care much about his hair. i prefer his hair during his "east meets west" days.